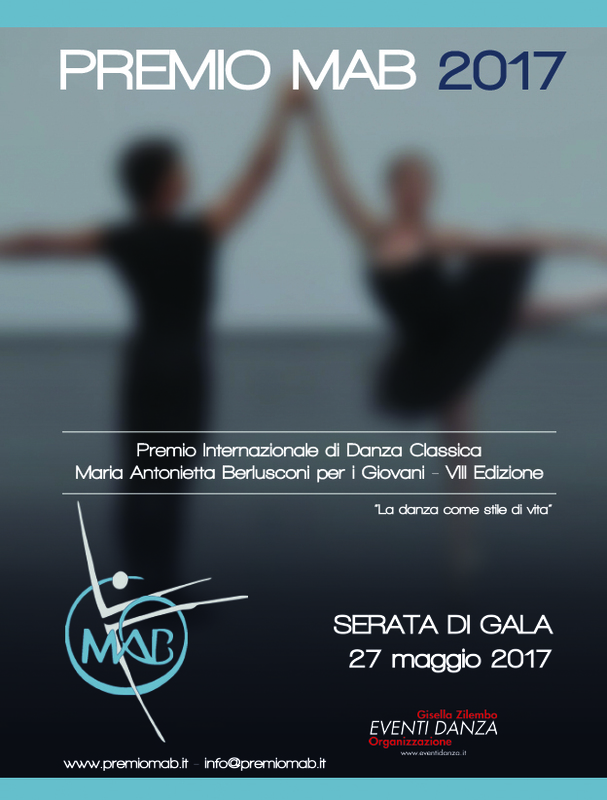 The dance competition MAB (Maria Antonietta Berlusconi), now in its eighth year, has become an important date on the ballet calendar both in Italy and beyond. It is also a ‘get-together’ and ‘catching-up-time’ for the Milanese dance world. Created after the premature death of Silvio Berlusconi’s sister — who ran Milan’s Principessa Dancing School — it gives out a wide range of prizes including bursaries, participation in festivals, and the chance to appear in new choreographic works. Artistic Director of MAB and Principessa, Roberto Fascilla, a former Principal at La Scala who entered the theatre’s Ballet School together with Carla Fracci more than 70 years ago, was absent due to ill health. A video message from the whole theatre with the dancer and presenter Rossella Brescia, was recorded for him. Participants pay nothing to take part, and MAB even covers any hotel accommodation. The competition is divided into four sections: primavera (11-13); juniores (14-17); seniores (18-24); and a choreographic prize. Of the youngest, Laura Farina stood out with her Russian Dance from Swan Lake; she was poised, musical, and threw off a double piqué en dedans with ease. She was oddly overlooked by the jury. Giada Gallio too, with her variation from The Fairy Doll, was assured and has a bright personality. In the middle group, Edoardo Sartori, who was a Lausanne finalist this year, showed off some clean footwork during his Albrecht variation, and was justly rewarded with a prize. Chiara Tartaglia, who I noted in 2015, and won last year, shows promise, though lacked some of the stylistic flourishes needed for Gamzatti, and Anna Zingoni showed off her confident technique during the Esmeralda tambourine variation (another prize went to her). The gorgeous Giovanna Doria, who is a bundle of charm, with a winning smile, and knows how to ‘dance’, presented a variation from the Flames of Paris, but she was even better in the two choreographic pieces in which she was featured later in the evening. A talent. In the Seniores group, Vincenzo Privitera brought the house down with physical bravura in his contemporary piece, Sensation, though it didn’t really have much to do with the rest of the line-up. The prizes ended up going to Simone Giroletti with another contemporary piece, Red Rose, which had more evident classical roots. Andrea Astemio won the choreographic prize with his creation Be Woman, which was certainly the most original of the pieces on offer using Indian rhythms and some oriental touches to the moves. As a little gift to the audience as the jury weighed up its decision, eight-year-old Dario Lancetta performed his Lancetta Dance, wittily choreographed by Alessandra Romano. ‘Lancetta’ in Italian signifies the hands of a clock, and indeed ticking was heard as his legs followed not just clockwise but… err… anticlockwise! It was a fun piece, just on the right side of cutesy, and little Dario loved his time on the stage… the audience did too. During Brescia’s chats with some of the competitors, one phrase was heard several times, “I study in Busto Garolfo.” It’s a town of 14,000 inhabitants not far from Milan. Doing a little research (the programme, unhelpfully, had no notes), I discovered that Laura Farina, Chiara Tartaglia, Giovanna Doria, the dancers of Be Woman, and even little Dario Lancetta, all studied in the town. That is, almost all the dancers I singled out from a line-up of 19, as well those who won in the choreographic section. Andrea Astemio who choreographed their piece also studied at the school before going on to La Scala. How can that be? If they’d all come from Milan or Rome it would be surprising, but not unbelievable, but from Busto Garolfo! If this were a competition in London it would be like saying that many of the best dancers came from Staines! More research. The school is called Happy Dance run by Irina Pana, from Bucharest. She obviously has great talent. Another school that stood out for their professionality — the girls’ buns were perfect, their costumes just right, and they all looked like dancers — was (more Googling) Danza STEP! 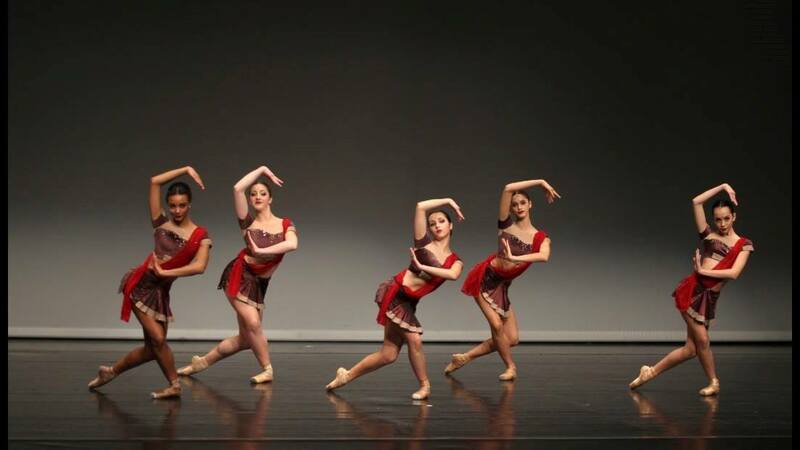 in Padua, directed by Debora Ferrato, who choreographed her students in a pleasing piece called Lacrimosa. As Rossella Brescia, the choreographer Luciano Cannito and Carla Fracci all underlined during the award ceremony, Italy produces so much dance talent, and these excellent schools encourage it to grow but, sadly, there are so few places where it can bloom and be admired.